The Camry has the maintained the title of the best selling car in America (when pickup trucks are excluded) for the past 15 years. A very impressive suite of standard advanced safety features results in a hefty discount on your insurance bill and its popularity make it cheap to repair. 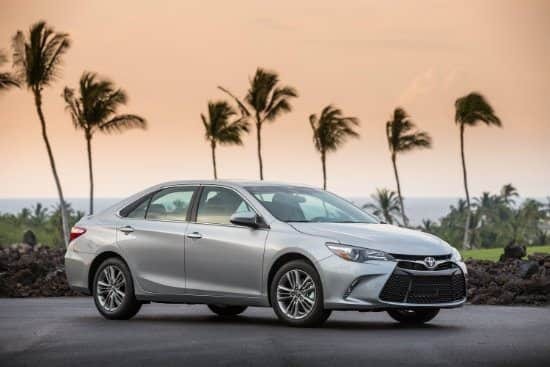 "The Toyota Camry and Corolla are cheaper to insure than the national average specifically because they're so popular", says Moody. "Toyota sells so many units that parts are plentiful and that makes them very affordable. A company like Toyota can keep costs down by producing lots of vehicles," continues Moody. The Toyota Camry is a Top Safety Pick and was awarded a 5-Star rating from the NHTSA, which also helps keep insurance costs affordable. Its average yearly rate is $194 less than the national average car insurance rate. 0 Responses to "2017 Toyota Camry LE"